Animated day today, people, with tons of animated movies having announced stellar voice casts, starting with Dreamworks animation LARRIKINS (Australian slang for a maverick) which will use voices from some of Australia's biggest stars Hugh Jackman, Naomi Watts, Rose Byrne and Margot Robbie! 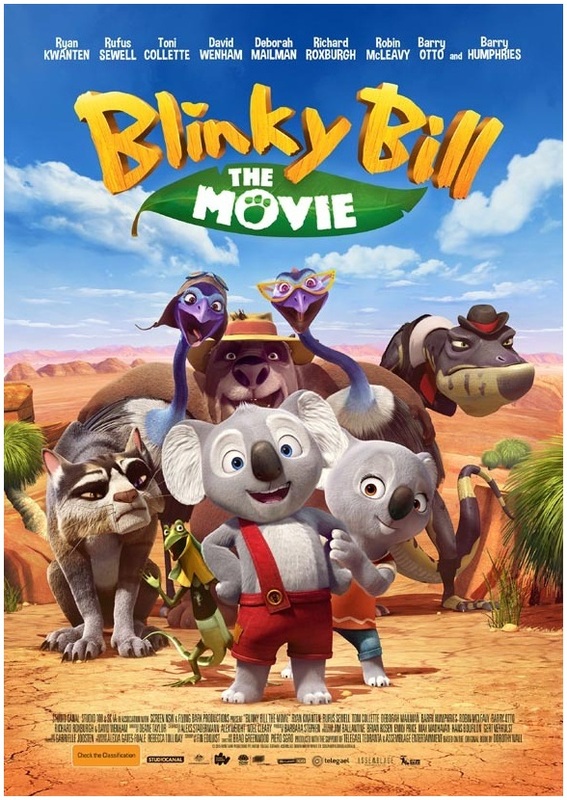 This animal rock 'n' roll musical will follow a desert dwelling marsupial known as a bilby who has lived under a rock his entire life before he is kicked out by his parents and told to get a life. 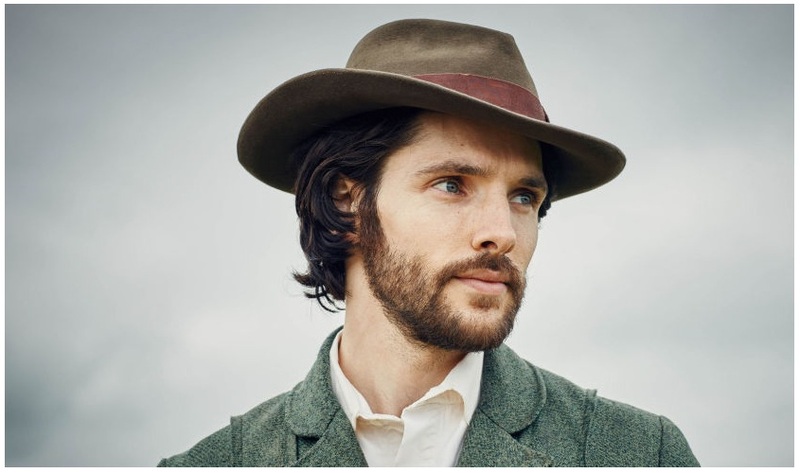 He does so by going on a road trip with a band in the Australian Outback. 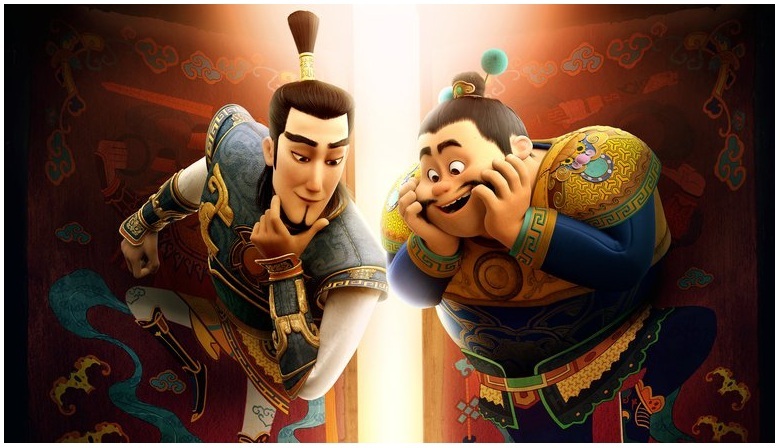 Meanwhile, The Weinstein Company has bought distribution rights on Chinese animated adventure THE GUARDIAN BROTHERS (aka The Little Door Gods in China) with Meryl Streep, Mel Brooks and Nicole Kidman lending their voices! It follows a Chinese family in danger of losing its wonton soup shop that’s been passed down generation after generation for hundreds of years. When the family’s grandmother passes away, the restaurant is left in the hands of a little girl named Raindrop and her mother (Nicole Kidman). Millions of miles away in the Spirit World, we meet The Guardians – who have watched over and protected the humans on Earth for centuries. Times are tough up in the Spirit World and two brother Guardians are forced to retire from the business they’ve loved since the beginning of time. Back down on Earth, Raindrop and her mom are fending off a rival soup shop owner’s attempt to sabotage the family restaurant. When the retired Guardian brothers find out, they spring into action. 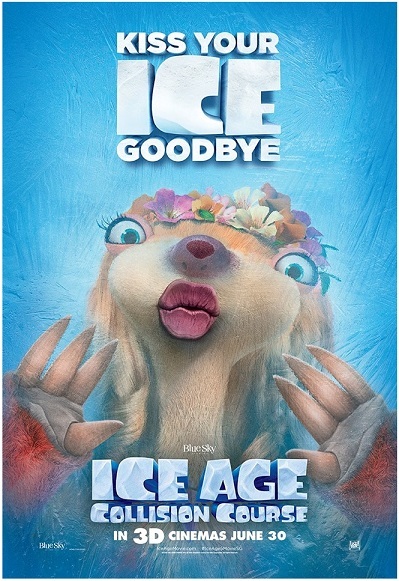 There is also another Australian animated adventure featuring voices from some of Oz's greatest stars such as Ryan Kwanten, Toni Collette, Richard Roxburgh, Rufus Sewell, David Wenham and Barry Humpries known as Dame Edna. 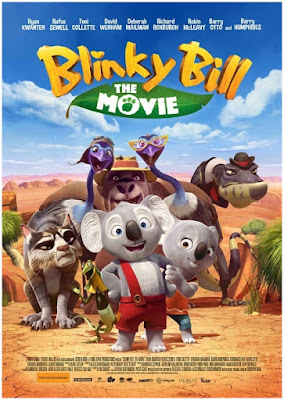 BLINKY BILL will be released in UK, Europe and USA this August and September following the little koala with a big imagination who is an adventurer at heart and dreams of leaving the little town of Green Patch and following in his missing father’s footsteps. New posters day today at the spy's lair, people, starting with utterly hilarious new ones for the fifth instalment in the super popular animated saga ICE AGE: COLLISION COURSE which should bring some icy refreshment to the cinemas July 22nd although the slogan says: kiss your ice goodbye :) Ray Romano, Jennifer Lopez, John Leguizamo, Queen Latifah, Wanda Sykes and Keke Palmer return to their beloved voice roles! 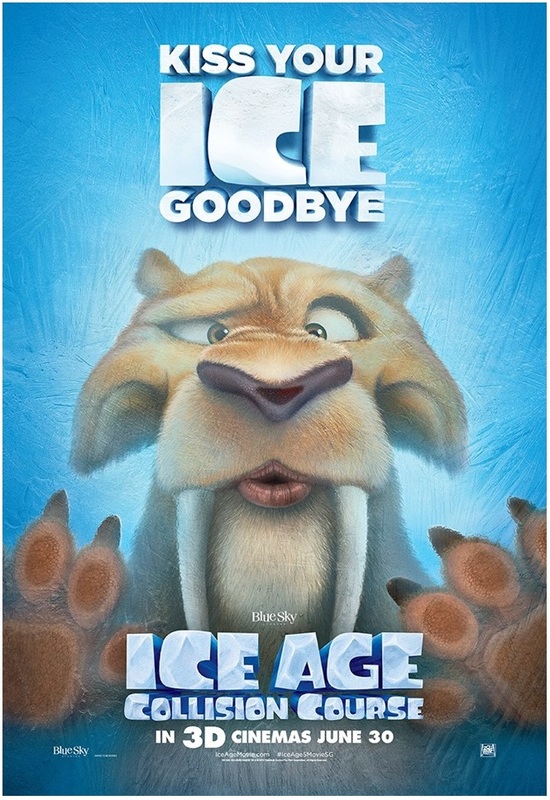 This time, Scrat's pursuit of his elusive acorn catapults him outside of Earth, where he accidentally sets off a series of cosmic events that transform and threaten the planet. To save themselves from peril, the trio Manny, Diego and Sid and the rest of the herd as well leave their home and embark on a quest full of thrills and spills, highs and lows, laughter and adventure while travelling to exotic new lands and encountering a host of colorful new characters. A new poster has also been released for the latest Hollywood remake, this time for classic western THE MAGNIFICENT SEVEN which this time includes Chris Pratt, Matt Bomer, Cam Gigandet, Vincent D'Onofrio, Ethan Hawke, Byung Hun Lee and Denzel Washington. It will bang its way into cinemas this September. 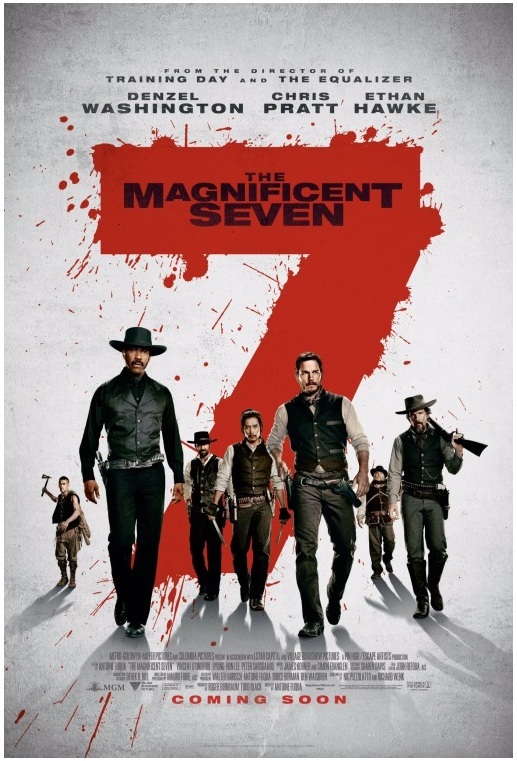 With the town of Rose Creek under the deadly control of industrialist Bartholomew Bogue, the desperate townspeople employ protection from seven outlaws, bounty hunters, gamblers and hired guns. As they prepare the town for the violent showdown that they know is coming, these seven mercenaries find themselves fighting for more than money. Also hitting theatres worldwide and also getting new posters is hilarious comedy movie BAD MOMS starring Mila Kunis, Christina Applegate, Kristen Bell! It follows a woman with a seemingly perfect life - a great marriage, overachieving kids, beautiful home, stunning looks and still holding down a career. However she's over worked, over committed and exhausted to the point that she's about to snap. Fed up, she joins forces with two other over stressed moms and all go on a quest to liberate themselves from conventional responsibilities, going on a wild un-mom like binge of freedom, fun and self indulgence - putting them on a collision course with PTA Queen Bee Gwendolyn and her clique of devoted perfect moms. It was only yesterday that I announced that Kellan Lutz might be the new He Man in MASTERS OF THE UNIVERSE and now another of the big sf remakes has possibly found its star. As reports from EW! are saying today DUNGEONS AND DRAGONS movie remake apparently has its target set on DIVERGENT and FAULT IN OUR STARS actor Ansel Elgort. The epic fantasy saga will be directed by Rob Letterman with the story being entirely set in the fantasy world from the famous video game populated by magical being, sorcerers, knights and princesses, and of course - dragons! The movie might follow the steps of this summer's WARCRAFT which has already scored well above half a billion dollars around the world so far. 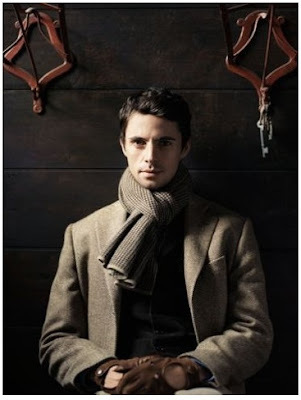 In TV news, as I told you before WGN America is preparing the small screen series adaptation of ROADSIDE PICNIC sf classic by Arkady and Boris Strugatsky and now Matthew Goode has been set as the lead! As 'Deadline' reports, it explores a near future world where aliens have come and gone, leaving humankind to explore the wondrous and dangerous mysteries left behind. The story also explores the social ramifications of their visit, as seen through the eyes of Red (Goode), a veteran “stalker” who has made it his mission to illegally venture into the once inhabited zone and scavenge the abandoned remains of the alien culture. WITH JAMIE DORNAN, AARON PAUL AND SARAH GADON! The first trailer has been released for unusual fantasy movie starring Jamie Dornan, Sarah Gadon and Aaron Paul THE 9TH LIFE OF LOUIS DRAX! 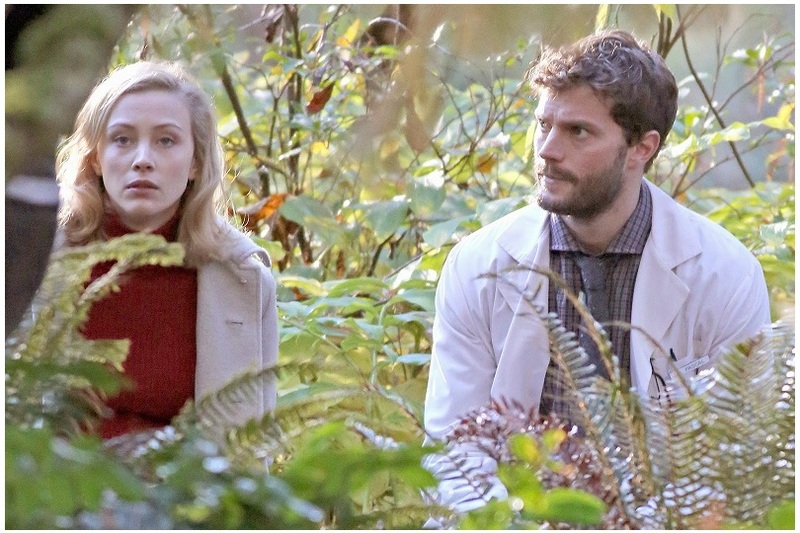 which revolves around 9 year old Louis Drax, who suffers a near fatal fall on his birthday. 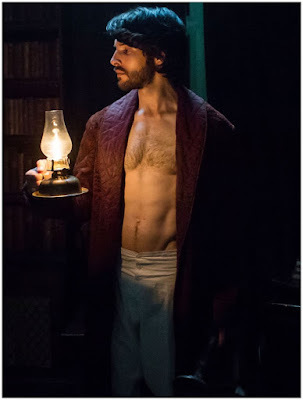 When a doctor (Jamie Dornan) tries to enter the boy's mind, he unravels a mystery that can't easily be explained by reality. 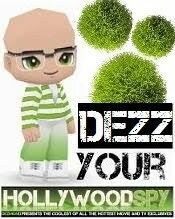 The movie is out this September. We're again going sf, people, not that you will mind, right? The hottest gossip this boring beginning of the week says that last year's Hercules Kellan Lutz has met with director McG to talk about the lead role in MASTERS OF THE UNIVERSE which means he is the first candidate for He-Man the Prince Adam of Eternia. 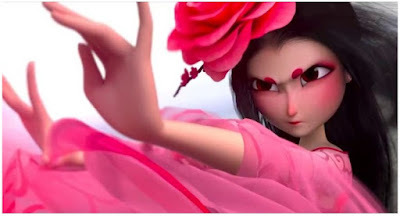 The movie is currently in the stage of the script being written, but as you know the story involves intergalactic fights, travels, powerful villains, sorceresses and talking tigers. What do you think will they do it child friendly, a bit like NINJA TURTLES, or will be it a space opera of large epic scale? 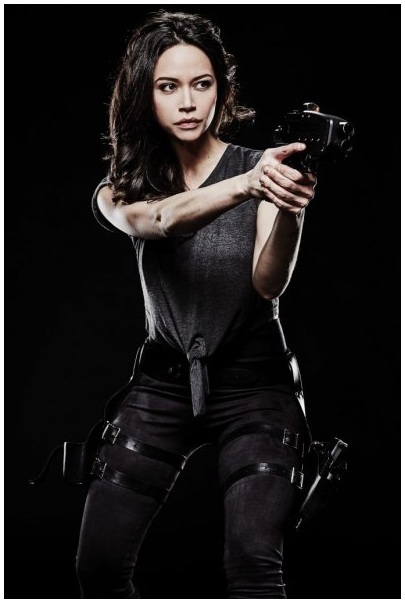 In the dead season of TV summer, one of the things that actually gave us some fun last year was SyFy's DARK MATTER show which is returning for the second season this Friday, July 1st! Are you excited? It wasn't the best of shows, but it was rather fun to watch and entertaining in an unassuming way. It will again follow the ragtag crew of the spaceship Raza, who started off the last series with no memory of who they were or how they came to be on the ship, which now gets involved in an intergalactic conspiracy, as they search for a device that could prove vital in the upcoming war. 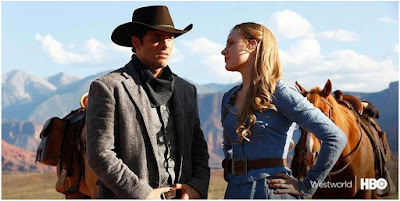 The old cast returns lead by Marc Bendavid, Melissa O'Neil, Anthony Lemke, Alex Mallari Jr., Jodelle Ferland, Roger Cross and Zoie Palmer as the ship's wise android. Melanie Liburd has joined the cast as a new member of the Raza crew, which will also include Shaun Sipos as Devon, a once world class surgeon, who is haunted by a dark past that may pose a danger to himself and his fellow crew members. 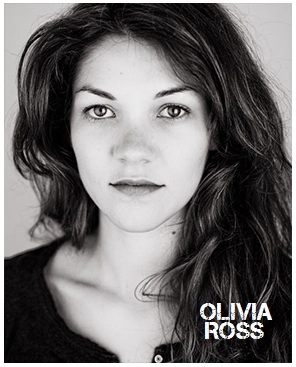 Meanwhile, Franka Potente will be playing calculated Commander Shaddick, Chief Inspector of the Galactic Authority Serious Crimes Division. Ellen Wong will guest star as Misaki Han Shireikan the Commander of the Imperial Royal Guard of Ishida! Now, here's a new historical project for us to look forward to! History has announced the cast for their ambitious ten episode epic saga KNIGHT FALL produced by Jeremy Renner who will guest star as well. 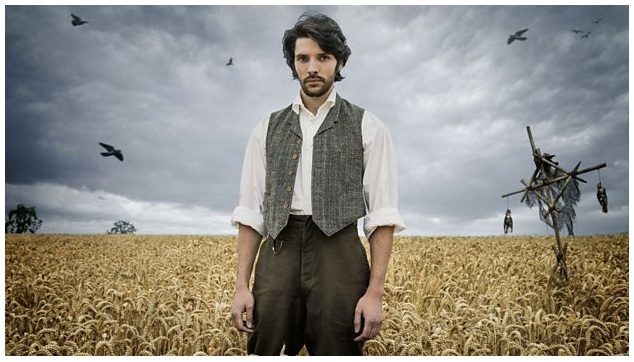 Robin Hood's Dominic Minghella will be the showrunner. were the most powerful, wealthy and mysterious military order of the Middle Ages, entrusted with protecting the Holy Grail and harbouring secrets capable of destroying the Church itself. KNIGHTFALL goes deep into the inner sanctum of the clandestine world of this legendary brotherhood of warrior monks. From their battles in the Holy Land, to their clashes with both the King of France and Pope Boniface VIII, to the betrayal that would ultimately lead to their tragic dissolution on Friday the 13th (a date which became synonymous with bad luck) the story of the Knights Templar has never been fully told until now. KNIGHTFALL takes you inside the world to find out who these knights were, how they lived, and what they died believing. 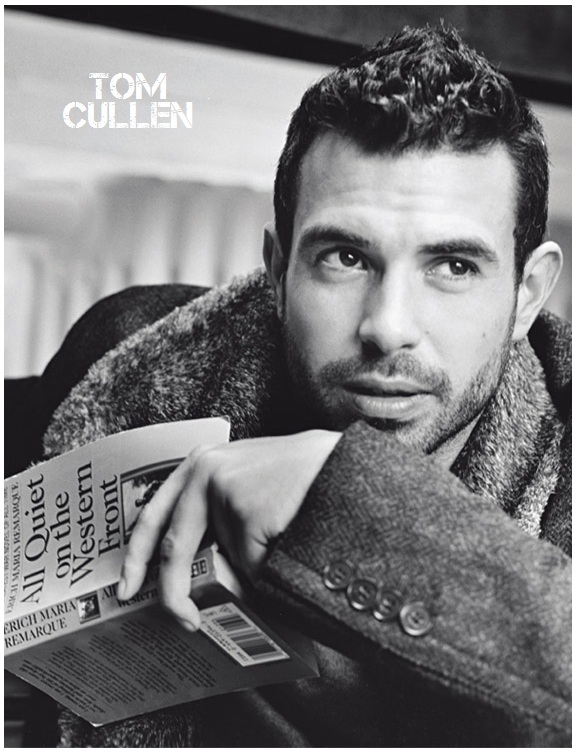 The lead role went to Tom Cullen (World Without End, Downton Abbey) who stars as Landry, a veteran warrior of the Crusades, who becomes the leader of the Templars and serves as the driving force behind their quest to retrieve Christianity’s most prized relic: The Holy Grail. 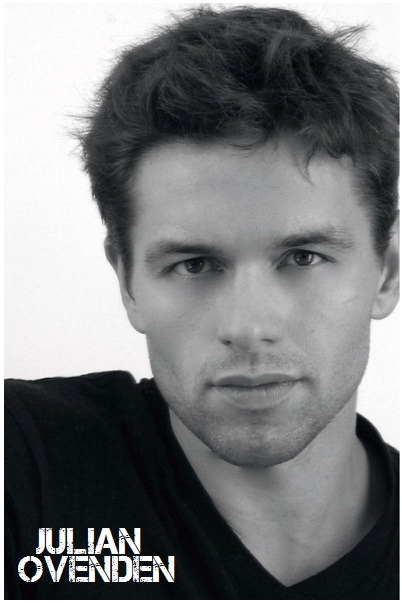 Bobby Schofield will be Parsifal, a young man of ordinary birth who will join the Knights Templar seeking revenge, but ultimately finds a higher purpose. 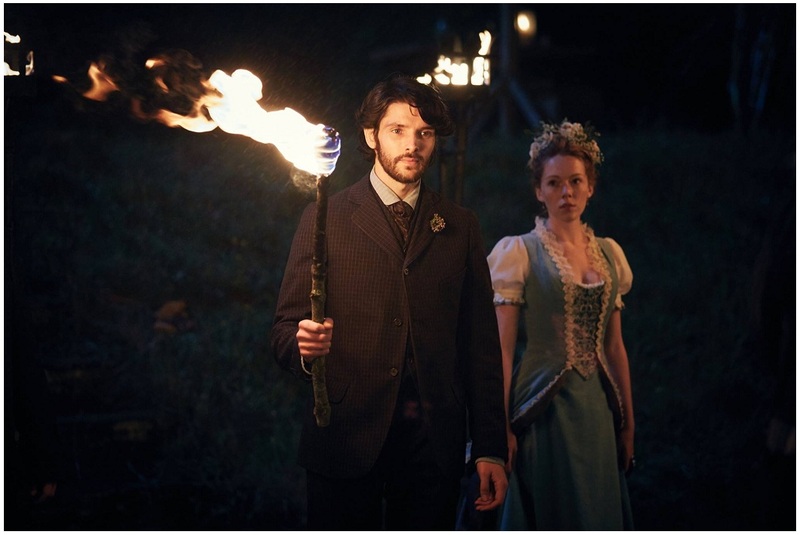 Da Vinci's Demons' and Poldark's Sabrina Bartlett is Princess Isabella, Queen Joan and King Philip’s daughter, her upcoming wedding stands to forge a powerful political alliance for France! 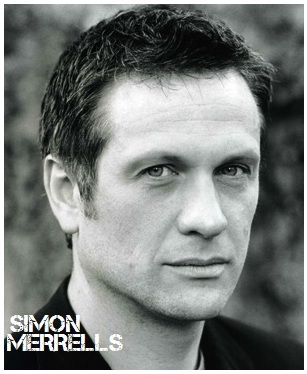 Julian Ovenden is De Nogaret, King Philip’s Machiavellian lawyer and right hand man. 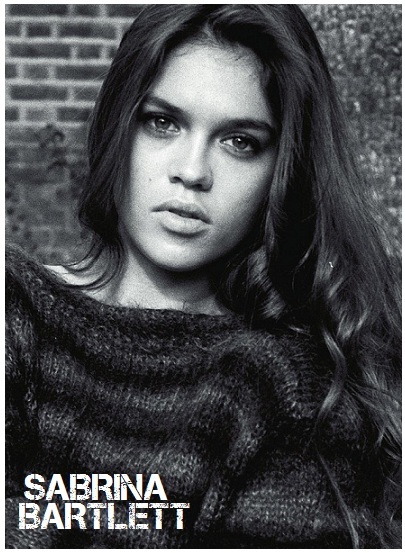 Sarah Sofie Boussnina plays Adelina, as a child she was rescued in the Holy Land by the Templar Knights, but now in her early 20s, she lives on the streets of Paris as a thief! 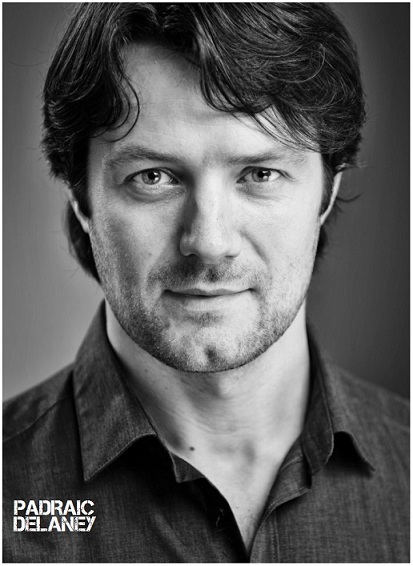 Padraic Delaney is Gawain, once the greatest swordsman of the Templar Order whose role with them is at a crossroads! Spartacus and Dominion star Simon Merrells isTancrede, a veteran sergeant fanatically devoted to the Templar Knight cause and Olivia Ross is Queen Joan of Navarre, Queen of France and Queen Regnant of Navarre, a devoted mother, warrior, and a formidable diplomat and strategist. 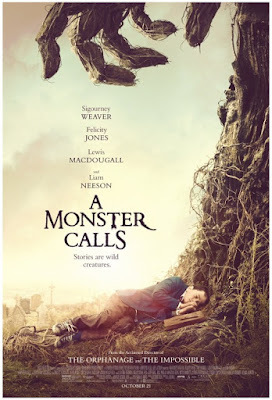 NEW POSTERS FOR EDDIE REDMAYNE'S 'FANTASTIC BEASTS AND WHERE TO FIND THEM', SAM WORTHINGTON'S 'THE SHACK', LIAM NEESON'S 'A MONSTER CALLS'! 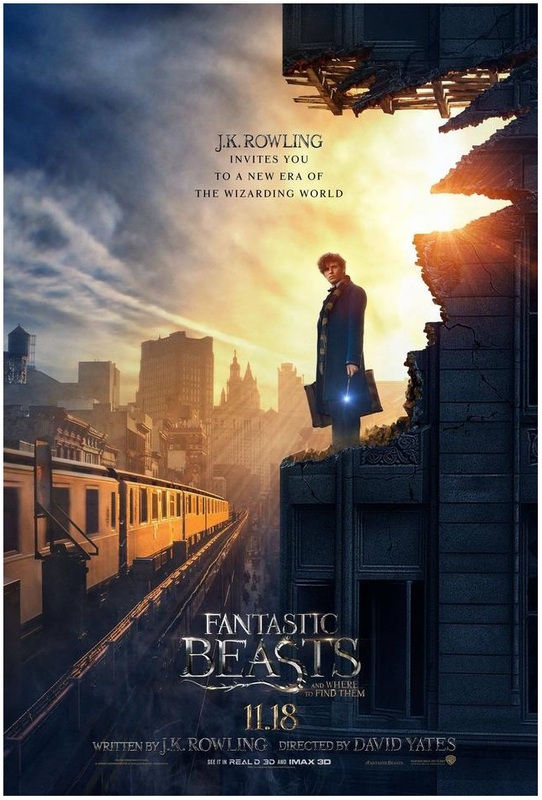 It's poster Saturday, people, I've got a bunch of new ones to show you, starting with the brand new one sheet for FANTASTIC BEASTS AND WHERE TO FIND THEM with Eddie Redmayne who portrays magizoologist Newt Scamander who, back in 1926, has just completed a global excursion to find and document an extraordinary array of magical creatures. Arriving in New York for a brief stopover, he might have come and gone without incident... were it not for a No-Maj (American for Muggle) named Jacob, a misplaced magical case, and the escape of some of Newt's fantastic beasts, which could spell trouble for both the wizarding and No-Maj worlds. 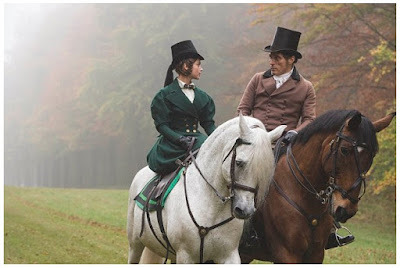 Samantha Morton, John Voight, Ron Perlman and Colin Farrell also star. 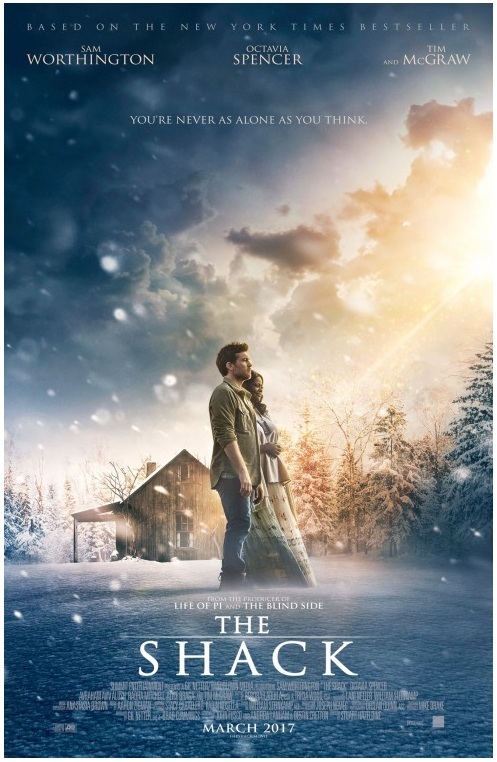 First poster has arrived for the adaptation of the megapopular bestselling book THE SHACK in which Sam Worthington is a man whose youngest daughter is kidnapped during a family holiday. 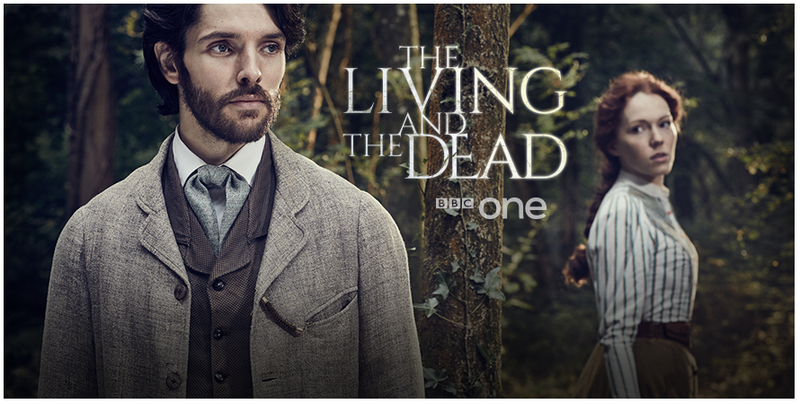 Evidence turns up in an abandoned shack to suggest she was murdered, which stymies the case. But then, four years later, he receives a note, apparently from God (Octavia Spencer), inviting him to go back to the ruined building. He accepts, against his better judgement, and what he finds there changes his life forever. 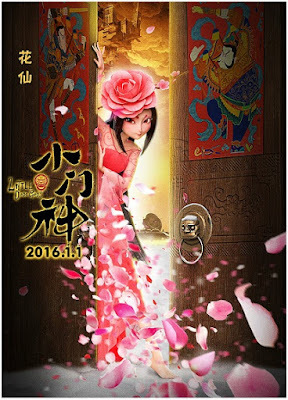 The long awaited movie isn't coming out any time soon, since it is scheduled for next spring. 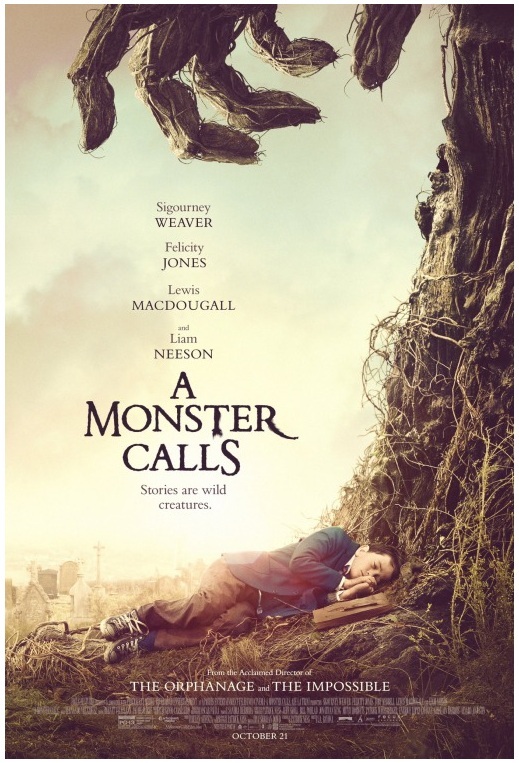 An atmospheric new poster is out for the adaptation of Patrick Ness' A MONSTER CALLS with deeply unsettling voice from Liam Neeson in which young Lewis MacDougall is a boy who attempts to deal with his mother’s (Felicity Jones) illness and the bullying of his classmates by escaping into a fantastical world of monsters and fairy tales that explore courage, loss, and faith! Out October it also stars Sigourney Weaver. A bunch of sf projects have been announced: Roland Emmerich is planning to make sf epic MOONFALL for Universal, following an unlikely band of misfits who must unite to save humanity when the moon falls out of orbit and hurtles towards earth. Meanwhile, Amy Adams' sf movie ARRIVAL has got a November release date! It takes place after alien crafts land around the world. An expert linguist is recruited by the military to determine whether they come in peace or are a threat. As she learns to communicate with the aliens, she begins experiencing vivid flashbacks that become the key to unlocking the greater mystery about the true purpose of their visit. Jeremy Renner and Forest Whitaker also star. And Ron Howard and Brian Grazer are going to adapt Neal Stephenson's SEVENEVES which centres on a catastrophic event that renders Earth a ticking time bomb, and nations band together to devise a plan to ensure the survival of humanity in outer space. Five thousand years later, their progeny, seven races now 3 billion strong, embark on another audacious journey to an alien world utterly transformed by cataclysm and time: Earth. And, of course, a sf trailer for you as well today: Mark Strong's sf thriller APPROACHING THE UNKNOWN which is currently out in cinemas. 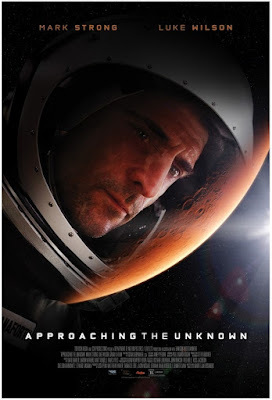 Also starring Luke Wilson, it follows astronaut William D. Stanaforth, sent on a one way solo mission as part of humanity’s first steps toward colonizing Mars. Watched by the entire world, he is completely alone, and when the trip takes a toll on the ship’s life support systems, he is forced to make impossible choices that threaten his sanity, mission and very existence! 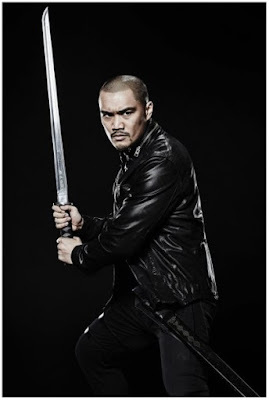 Well, you gotta admit he is all over the place right now: while we're waiting to watch Dwayne Johnson in new BAYWATCH movie, and also in FAST AND FURIOUS 8, while hearing his voice this winter in MOANA, and then also seeing him as Black Adam in SHAZAM and in JUMANJI reboot, yet another reboot he might appear in is MAGNUM P.I. 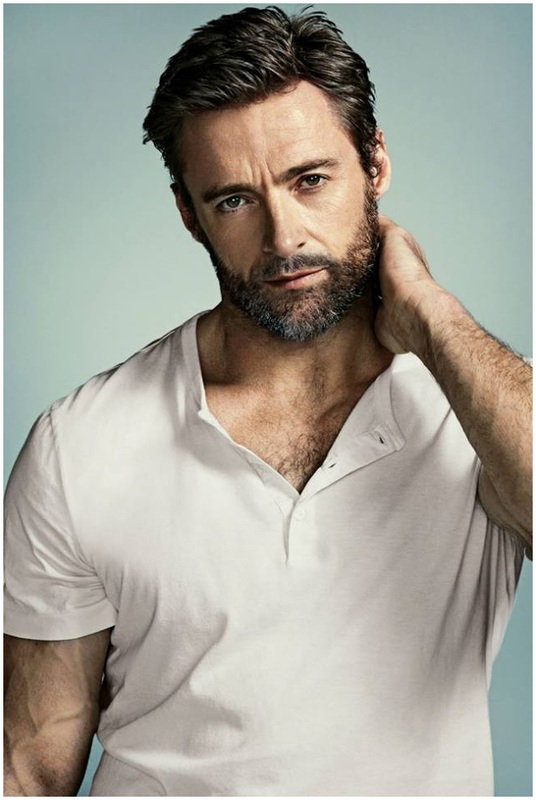 but what is most interesting is that Universal apparently wants him as their WOLFMAN in their monster franchise which started with Luke Evans' DRACULA UNTOLD and continues with Tom Cruise's THE MUMMY. The franchise will also have Johnny Depp as THE INVISIBLE MAN and also Van Helsing and Frankenstein reboots. Dwayne will also play DOC SAVAGE in a movie and has SAN ANDREAS disaster movie sequel to do. In TV news, here's a funny sounding project: 'Deadline' reports that Amy Poehler will produce a new comedy series THE BABY for NBC with Seann William Scott in the lead role. He will headline the series as the youngest male in an organized crime family of all women. Though he’s tough at work, his mother and seven older sisters mercilessly push him around at home! NBC has ordered a pilot episode. 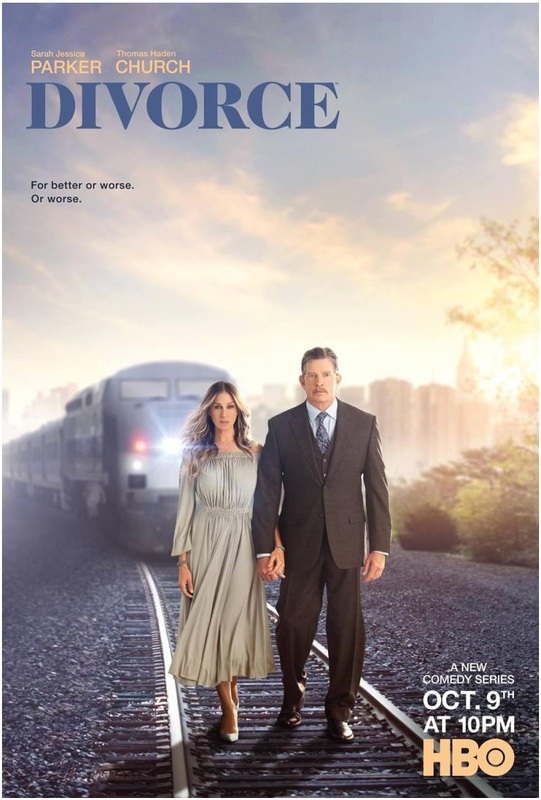 Meanwhile, HBO has released the first trailer for their new comedy series DIVORCE which arrives this Autumn starring Sarah Jessica Parker and Thomas Haden Church. The series follows them as a couple with all their difficulties and affairs. It seems it will also be about showing the middle finger a lot. 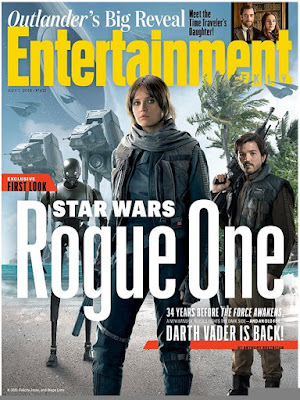 The latest issue of EW brings the first look at this December's STAR WARS: ROGUE ONE spin off movie showing Felicity Jones (as Jyn Erso) and Diego Luna (as Captain Cassian Andor) as rebels who are trying to steal the plans for the Death Star and their mission will see them infiltrate the ranks of the Imperial Forces. It has been confirmed, as you can see on the cover, that Darth Vader is also back in his younger days. Since the story precedes the first movie A NEW HOPE the film will show old ships, troopers and androids from the early days of the Empire. Also starring in the film are Mads Mikkelsen as her father Galen, Donnie Yen (As Chirrut Imwe) and Riz Ahmed (As Bodhi Rook). EPIC SERIES TEASER IS HERE! 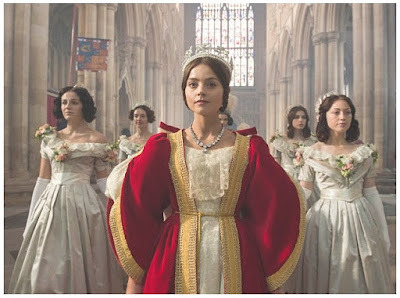 Now, I can already tell you, people, with VICTORIA, POLDARK, VERSAILLES, TUTANKHAMUN, WILL, THE COLLECTION and other historical series we're really expecting an epic Autumn this year, and Italian RAI isn't holding back either, since the eight part epic series MEDICI: MASTERS OF FLORENCE is set to air this Autumn around Europe. RAI has released the first teaser, it is in Italian but you can get the glimpse of the visuals at least. 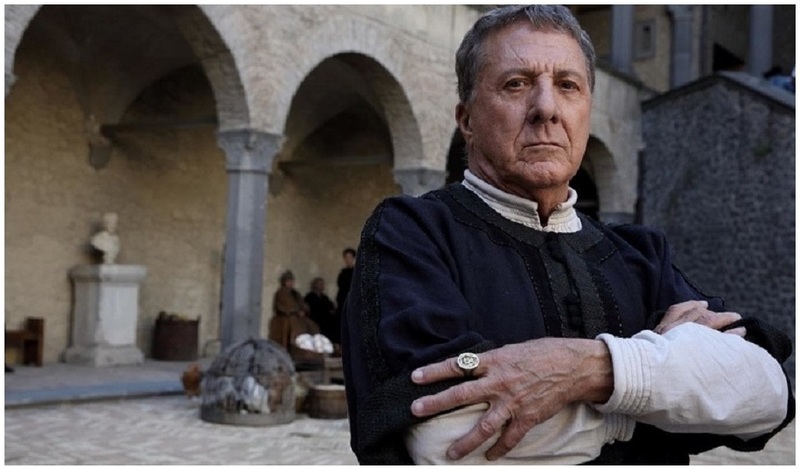 The Medici family suffers a great loss with the death of its patriarch Giovanni (Dustin Hoffman). 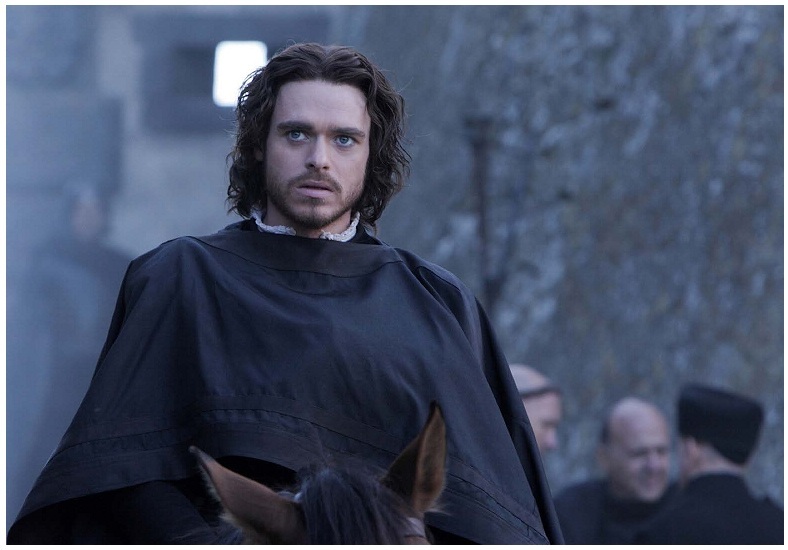 When the designated heir Cosimo (Richard Madden) discovers that his father was poisoned, he decides to keep the news to himself and tries to get on the assassin’s trail. 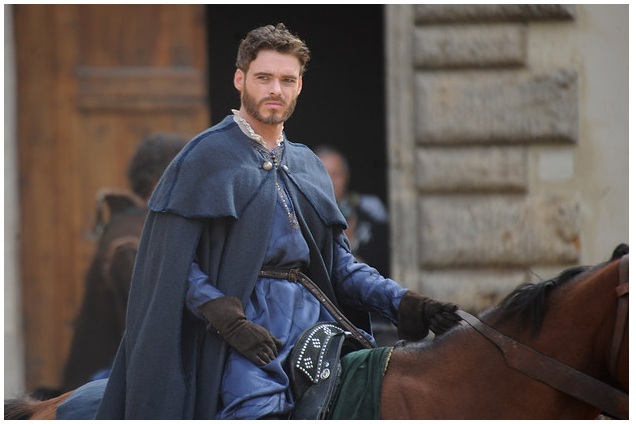 Cosimo, who has long abandoned his dream of becoming an artist, then takes his father’s place as head of the bank and of the Signoria, where he needs to defend himself against the hostility of the noble families. 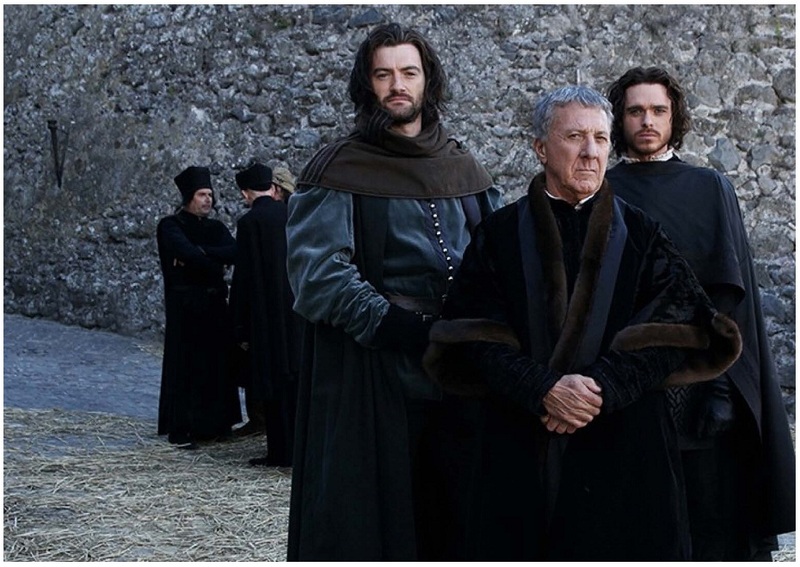 When the Duke of Milan annexes the city of Lucca away from Florentine dominion, Cosimo must decide whether to side with the nobility, as Giovanni would have done, or to free himself from his father’s shadow! 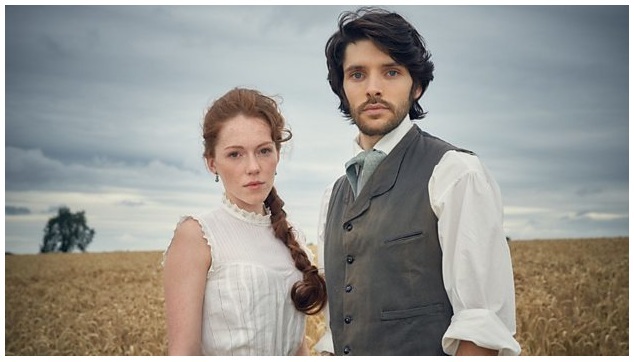 Click to read more on the series in our premium spotlight! 'DA VINCI'S DEMONS' LAURA HADDOCK JOINS ANTHONY HOPKINS, JOSH DUHAMEL IN 'TRANSFORMERS 5: THE LAST KNIGHT'! 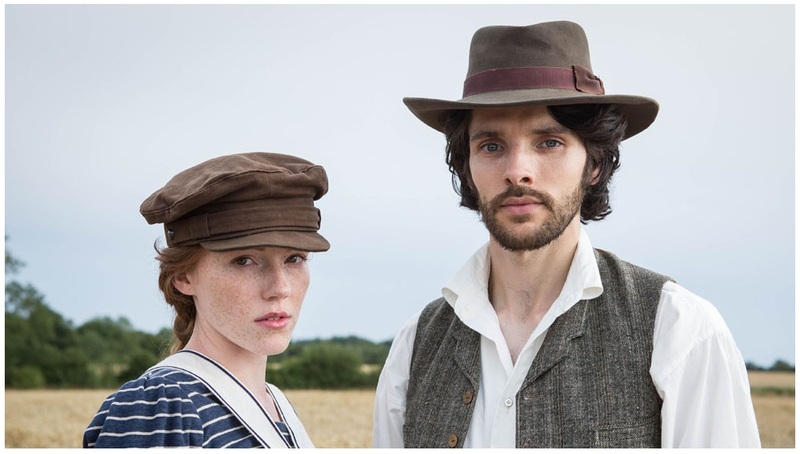 'SWALLOWS AND AMAZONS' ADVENTURE TRAILER WITH RAFE SPALL! I must admit I've missed her terribly, I truly did! DA VINCI'S DEMONS ethereal beauty and deeply expressive actress Laura Haddock will star in TRANSFORMERS 5: THE LAST KNIGHT in an unknown role! The cast already includes Anthony Hopkins, Mark Wahlberg, Josh Duhamel! RAFE SPALL TRAILER IS HERE! Spall alongside Andrew Scott, it is a story of daring adventure and exploration as a group of children set off on an adventure of a life-time. If you miss the gladiators from Spartacus series, don't despair, its writer David Franzoni (Gladiator) is preparing another similar series COLOSSEUM set in the world of the Roman Empire’s gladiatorial games! Franzoni will executive produce the series with Dirk Hoogstra (Vikings) next year at New Zealand. As 'Deadline' reports, using the gladiator arena and its deadly games as the backdrop, COLOSSEUM will be a multi layered drama that deals with the lives of the gladiators and the powerful men and women who attempt to use them as political pawns. It will introduce us with the workers, interns, slaves, creatures and geniuses – the shadow community that truly ruled Rome! 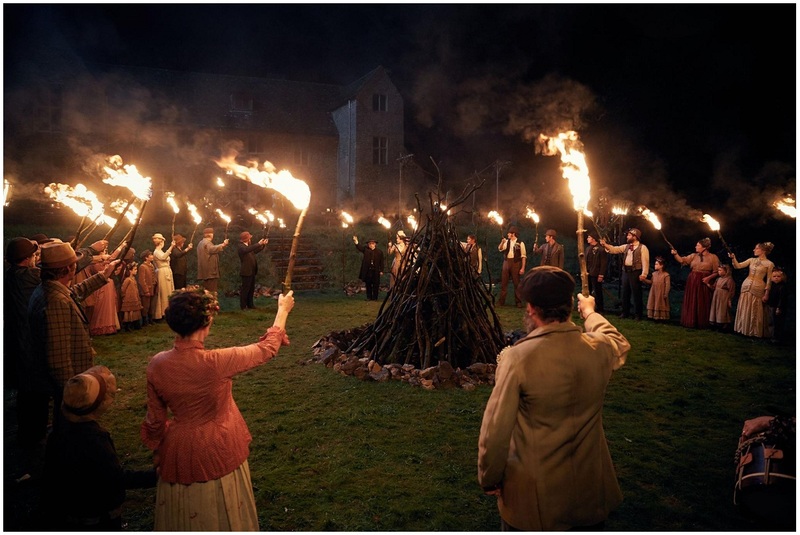 BBC has, meanwhile, ordered a two hours mini series on Agatha Christie's THE WITNESS FOR THE PROSECUTION about a 1920's brutal murder of a rich heiress.